Concern Worldwide, Ireland’s premier humanitarian agency, asked Mullan to join the agency to help it respond in an appropriate manner to the approaching 150th anniversary of Ireland’s Great Hunger. Lecture tour of six major US cities: New York, Boston, Los Angeles, San Francisco, Washington DC and Chicago. His lecture in Chicago led to the setting up of a Concern Worldwide Group in the city which remains, outside of New York, Concern’s second most important hub; a fact acknowledged in the book ‘Aengus Finucane: In the Heart of Concern’ by Deirdre Purcell (Dublin 2015). During the first visit of President Bill Clinton to Ireland in 1995, Mullan surprised his colleagues when he calmly, and with good humour, worked with the Gardai and the US Secret Service to create an opportunity for a Concern volunteer to meet the US President who placed a US$20 bill in a Concern collection box, after visiting Cassidy’s Pub, just across from Concern’s headquarters on Camden Street, Dublin 2. Mullan’s biggest undertaking was a major gathering at the National Botanic Gardens, Glasnevin, Dublin, on 20 August 1995. On that day in 1845, the Gardens curator, David Moore, noted the presence of the blight bearing fungus within the vegetable plot. Moore knew that the fungus was present on mainland Europe and realised that if it reached Ireland, it could have devastating consequences, given the dependency on the potato by the majority of Ireland poor and dispossessed population. Mullan recognised that this date might be considered the actual beginning of the Great Famine. With colleagues in Concern he organised within the Gardens a moving ceremony, which included speeches, music, reflections and a performance by the Galloping Cat Theatre Company, whose enactment of a desolate funeral scene, silenced the large gathering of public and diplomats, including the British Ambassador, and made the front cover of the Irish Times the following day. Donal Synott, then curator of the National Botanic Gardens, later stated that the Great ‘Famine’ Commemoration organised by Concern Worldwide, was the highlight to their bi-centenary year. 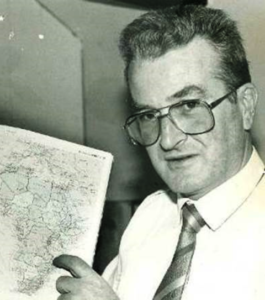 During the summer of 1996 the late Alo Donnelly, the first Chief Executive of Concern Universal, a UK-based World Development agency wishing to expand into Ireland, approached Don Mullan having been informed that he was now working freelance. Over dinner at a Dublin restaurant, Donnelly offered Mullan the job of heading up the agency’s Irish operation. By then Mullan had begun his career in investigative journalism and declined. However, after some reflection and consideration of a number of possible candidates, Mullan recommended a Derry-based associate, Richard Moore. 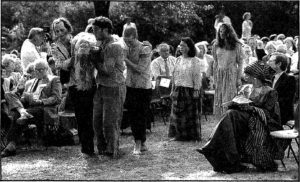 Moore had participated in Mullan’s re-enactment of the Choctaw Nations ‘Trail of Tears’ walk from Oklahoma to Mississippi in 1992, during which Mullan spoke to him extensively about his humanitarian work with AFrI. During his meeting with Alo Donnelly, Mullan recalled Moore’s expressed wish to do similar work. 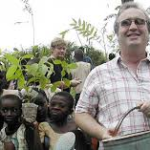 On Don’s recommendation, Richard Moore was interviewed for the position and subsequently employed and resourced by Concern Universal to set up the Irish section of the charity. As Concern Universal’s origins came from the same seed as Ireland’s leading humanitarian organisation, Concern Worldwide, to avoid confusion its UK counterpart needed to register under a different name. Moore suggested ‘Children in Crossfire‘, the name of a 1974 BBC documentary that he had featured in. In 2006 ‘Children in Crossfire’ separated from Concern Universal and is now an independent charity in Northern Ireland, whose Chief Executive is Richard Moore. In the Autumn of 2016 Concern Universal rebranded itself as United Purpose.